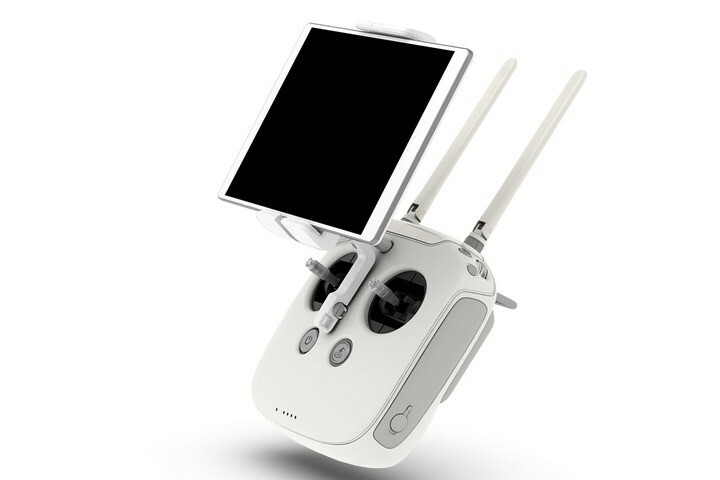 The DJI Phantom 3 remote controller can be used with both the DJI Phantom 3 Advanced and DJI Phantom 3 Professional aircraft. The remote controller has sensitive control sticks, dedicated buttons and up to a 1.2 mile (2km) range. The DJI Phantom 3 remote controller is able to be customised for your stick mode, and gives the pilot a completely new way to fly and interact with the Phantom 3 and camera functions. The Phantom 3 radio controller has been ergonomically designed to fit perfectly in your hands; the remote gives you the confidence to fly the way you want. Controlling both your Phantom 3’s flight path and camera, the controls are placed in positions which make it feel natural to operate all of the functions. This advanced remote has been designed from the ground up specifically for aerial photography with dedicated buttons let you take photos and video, tilt the camera and direct where you want your Phantom 3 to fly. There is a home button on the front of the controller to bring the Phantom 3 back to the home position. The long range live HD video stream from your camera is delivered direct to the remote controller via the DJI Lightbridge which is built into both the remote and the Phantom 3 itself. The Lightbridge technology works in two parts, it will allow for video streaming and control of the camera and control of the Phantom 3 in tandem to ensure a continuous link between you and your Phantom 3. With the powerful communication signals the Lightbridge slices through most environmental interference, giving you precise, full control and information from the aircraft at longer distances. Changing your flight mode and set additional commands through the DJI Pilot app is quick and easy. Customise what each of the sticks do, and personalise the two buttons on the back of the remote to activate your favorite functions through the App.